Your BERNINA & More Store! Spring is finally here! To celebrate the season, we have many new deals available in our store! Come on in and visit to see what the excitement is all about! Sign-up for Newsletter at the bottom of this page for all of our current news and coupons! 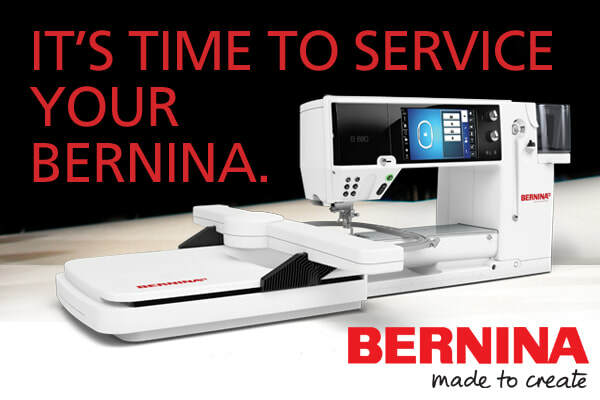 ​20% Off MSRP (up to $2,000) on a new BERNINA machine with retail purchase price of $999 and up. Financing of 48 months for purchases of at least $3,000. Check Out the New BERNINAS! The 325, 335, 480 and 475 QE! ​Available In Our Store Now! Small sewing machine, but a big deal! This machine is the Quilter's Best Friend! Last Chance for BERNINA 330 and 350!! If you've been thinking about purchasing the BERNINA 330 or BERNINA 350 PE machines, this is your last chance! Quantities are limited! ​Buy 3 get one Free! Sew Little Time has the best selection of thread in town! Come on by and check it out! All Dunroven Tea Towels in stock 25% off! Get a head start on your gift giving! Many colors and styles to choose from. 20% off of all fabric! ​The prices keep getting lower! We have machines for every level and function at drastically reduced prices in our showroom, so stop by and check out our prices! Also, don't forget to ask about our special financing offers! Below is a listing of the machines on sale! We're sure there will be one that will meet your needs! But Hurry, Quantities are limited! A hospital experience can be terrifying and traumatic for both a child and their family. While others strive to find a cure, Ryan’s Case for Smiles helps with the stress and emotional impact of illness in the here and now. Whimsical pillowcases give children an emotional boost, while resources and tools help families better understand and cope with the experience. Volunteers around the world give their time and resources to sew bright, colorful pillowcases for children in the hospital. What not join the team? Click here for more information on how you can help. Sew Little Time is proud to be a drop off point for pillowcases made by volunteers. So get sewing and we will make sure they get into the hands of children who need a bright spot in their lives! Sign-up for our Newsletter, call or email!